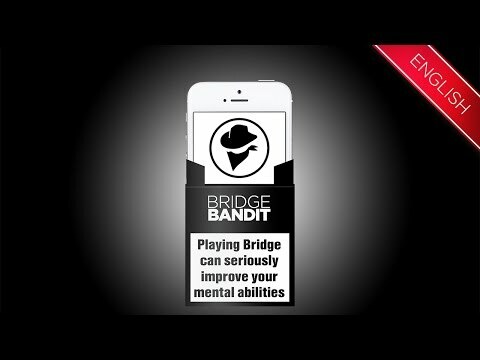 Bridge Bandit features a beautifully designed interface that is easy to use and great looking. We have taken the essence of the game and thoughtfully translated it for mobile devices. Choose from four different ways to play: in a competitive league, in a direct challenge with a friend, in a historical tournament comparing yourself with the best of the best, or in a quick blitz. Create your profile, find and make friends and even join or form a club. Open the bonnet and fine tune the Bandit bidding motor, choosing from four defined systems or customise your own. Any way you choose to play, if successful, can earn you Bandit points that can be used to unlock rewards. Start life as a lowly pirate and work your way up through a selection of nefarious characters. 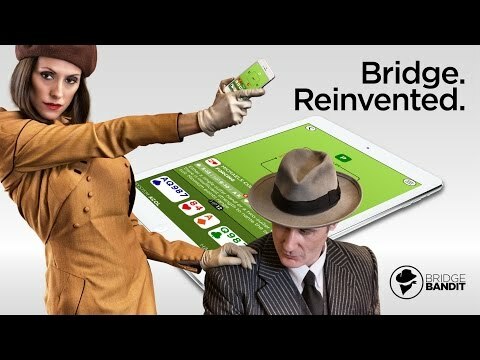 We have calculated the global market by extrapolating from estimates from the World Bridge Federation, American Contract Bridge League and New York Times along with actual membership data from bridge clubs around the world. This gives us a global figure of 740,000 bridge club members and 14m regular players, these are people that play at least once a week. However, the number of people that know how to play bridge is far larger, around 120m. According to the American Contract Bridge League, the 25m Americans that know how to play bridge are well educated (79% have a college degree), affluent (average income of €50,000) and an average age of 51. Not all of them will possess a smartphone or tablet and play on these devices, but given this profile it is reasonable to assume that a very high number will. In contrast with the competition, we have a local engine, and not a server based engine. This means we can provide a smoother experience and offer offline play. We, also, have a much more attractive interface with great design and We are introducing gamification and social networking features. Bridge Bandit no tiene ninguna noticia disponible.